European roller (Coracias garrulus) in a bush. 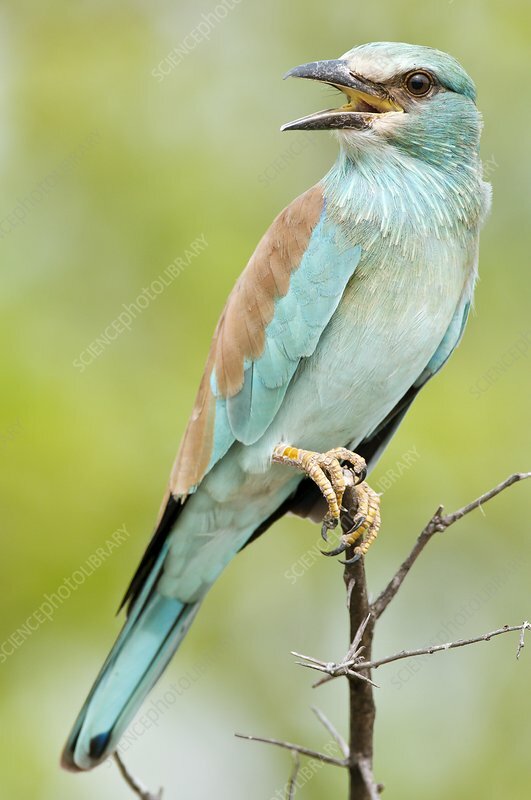 This migrant bird is the only roller bird family member to breed in Europe. It is also found in the Middle East, Central Asia and Morocco, and winters in southern Africa. It often perches conspicuously in the tops of trees, where it can spot prey such as insects and lizards, although it is known to take small birds, frogs and mammals. Photographed in Kruger National Park, South Africa.